Probably one of the most unique characters ever to be imagined. The Joker is truly unique. 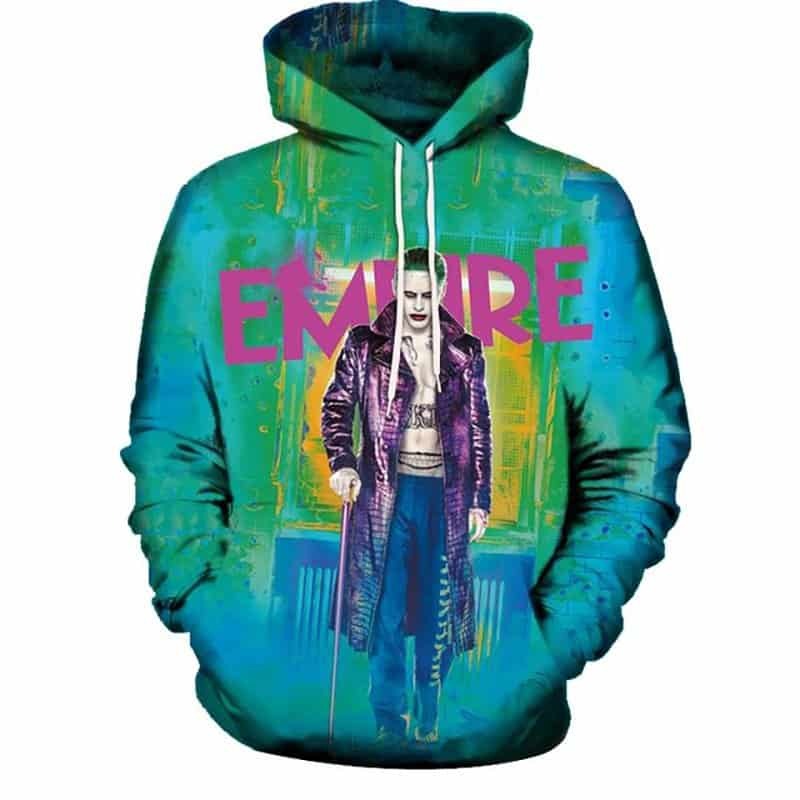 This Joker Hoodie was inspired by the character played in Suicide Squad. The print shows him walking towards us with the caption Empire behind him. The hoodie is comfortable to wear, looks fashionable and is wearable anywhere. It was designed for both male and female.